In May 2017, Salume Beddu owner Mark Sanfilippo’s nationally lauded empire of artisan cured meats moved from its former Lindenwood Park storefront to Parker’s Table in Richmond Heights. 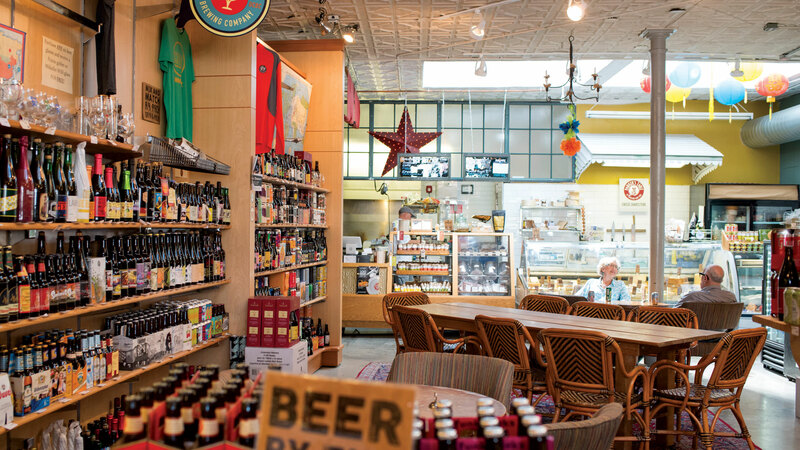 A mecca of unique wine, craft beer and specialty foods, Parker’s provides an ideal eclectic, comfortable environment for Salume Beddu’s local products and lunch menu. It might look like your average deli counter, but the sandwich shop tucked in the back turns out deceptively simple but phenomenally executed sandwiches. This streamlined sandwich is pared down to four ingredients on Fazio’s Bakery ciabatta, starting with the flagship Sicilian-style soppressata, which is stuffed with hand-cut back fat, red chili, garlic, red wine and black peppercorns and aged 100-plus days. 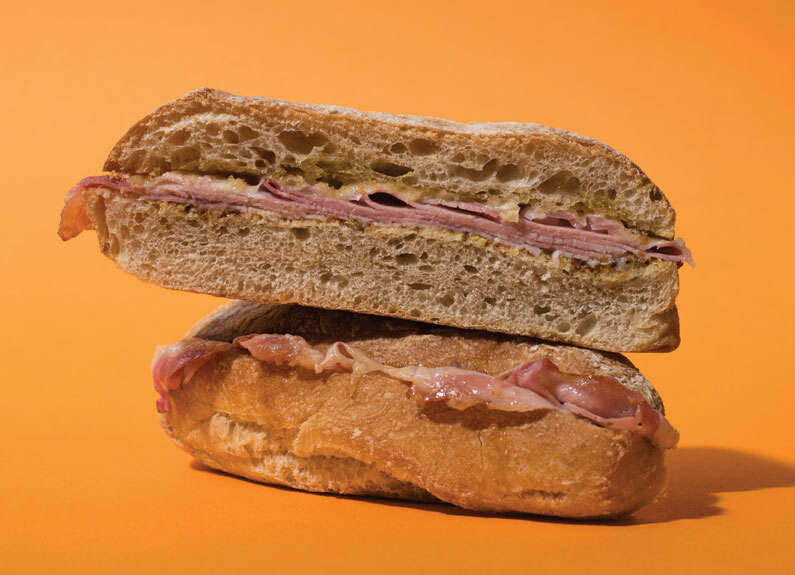 Unlike overly dry salami that take on a tough, jerky-like texture when heated, this one is salty, a little bit spicy and utterly smooth – leaking just a hint of savory oil that soaks into the crispy ciabatta laced with grain mustard and creamy melted provolone. The finishing touch is the sott’aceto, a chunky and marvelously bright green relish of fennel, garlic and onion, pickled in vinegar and packed in oil for several weeks. 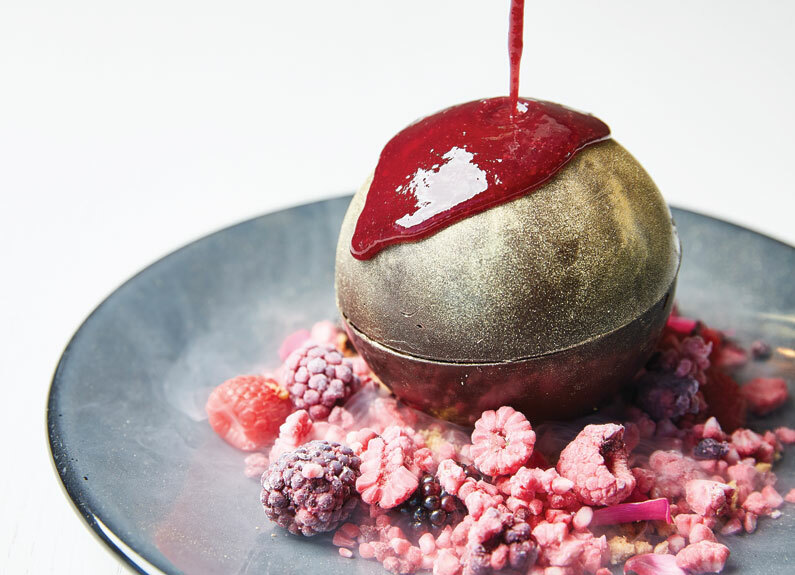 It spreads on thick and adds a rich earthiness and a hit of tang. There’s nothing subtle about this sandwich, which features a hot southern Italian-style salsiccia fiama heavy on the traditional flavors of fennel seed and smoked paprika. 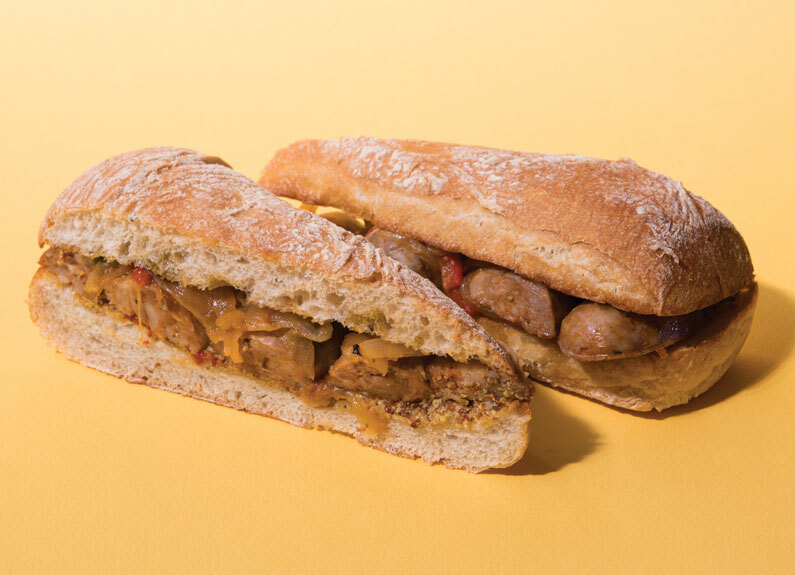 The sausage is poached for extra juiciness, then seared before being placed on a ciabatta bun with grain mustard and peperonata – a mix of sauteed red peppers, roasted onions and tomato paste. 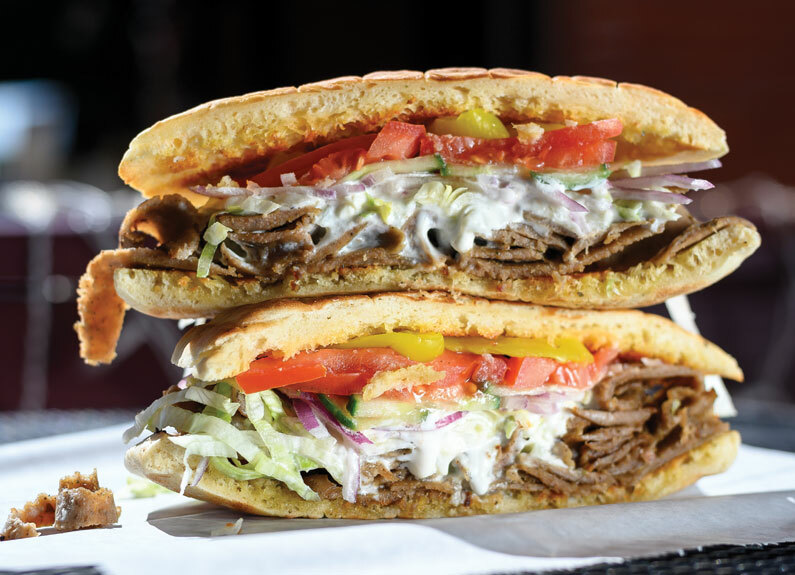 Toasted in a convection oven and served piping hot, The Beast has a juicy snap of meat in each bite that plays well with the classic smothering of soft onions and red peppers. 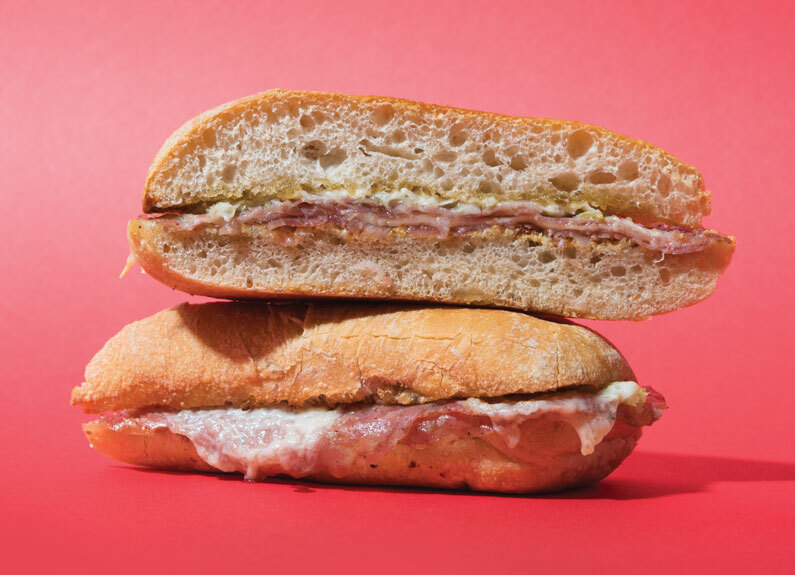 The prosciutto cotto may pose as a forgettable ham and cheese, but is in fact the best sandwich on the menu. Airy ciabatta easily pulls apart with a healthy layer of semi-smoky ham with hints of rosemary, coriander and black pepper. A handful of bright pink pickled red onions complement the mild meat with a little acidic bite, and salty, nutty melted Gruyere and a thin layer of mustard round out the sandwich. Speck is a fatty, bacon-flavored ham that’s cured with spices like juniper, slow smoked and aged. It goes wonderfully with nutty Gruyere and mustard, but it’s the preserved lemon that really makes this sandwich. Lemon might be the last thing you’d think to put on a pork sandwich, but Sanfillipo’s lemon-curing process results in a tender and zesty topping that dissolves on first bite and adds sugary sweet lemon flavor without any bitter edge. A good sandwich requires prep time, especially for a boutique counter operation like this. The staff is beyond accommodating, but even if there isn’t a crowd to contend with during your visit, be prepared for a wait. 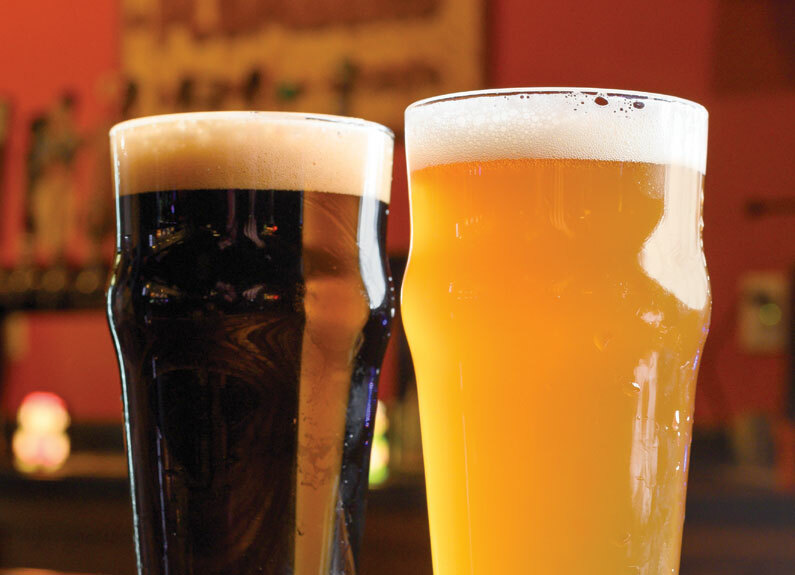 Call ahead if time is a factor. Matt Berkley is a longtime contributor and critic for Sauce Magazine.